By taking the step of baptism, new believers are publicly declaring their commitment to follow Jesus. 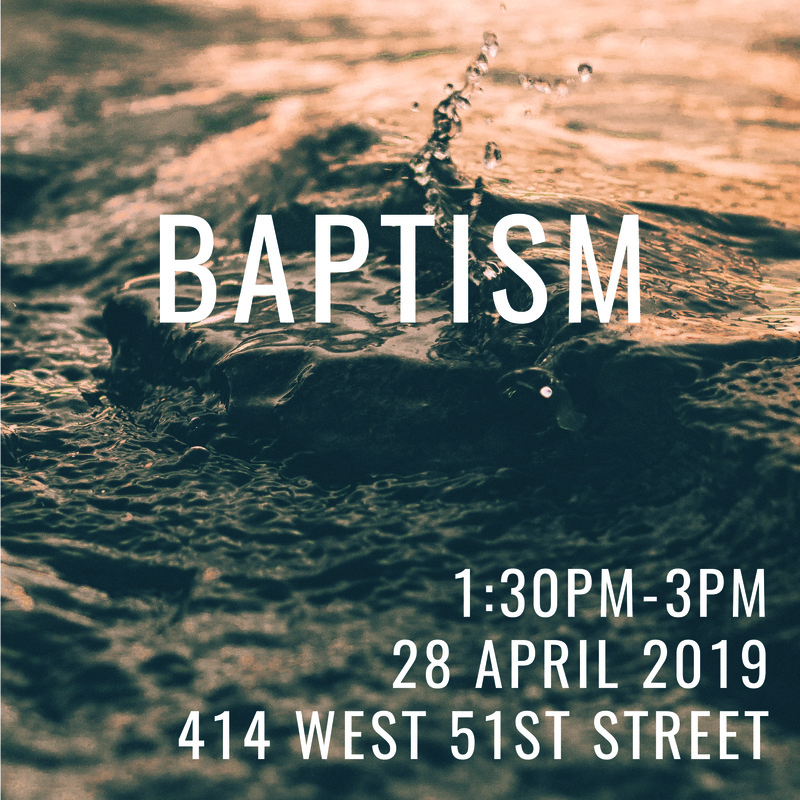 Join us for our next baptism service on Sunday, April 28, 2019 at 1:30 PM at 414 W. 51st St. If you would like to be baptized click here, or if you would like to know more information email baptism@ennyc.org and a pastor will contact you.